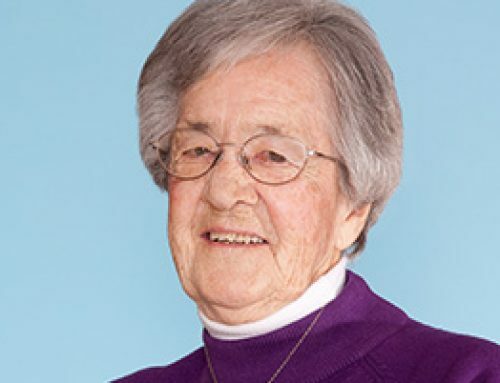 Kelly, Sister Kathleen (Helen Patrick), 88, died in Caritas Residence, Halifax, NS, on May 13, 2017. Born in Halifax, NS on June 26, 1928, she was a daughter of Harold and Lena (Callaghan) Kelly. 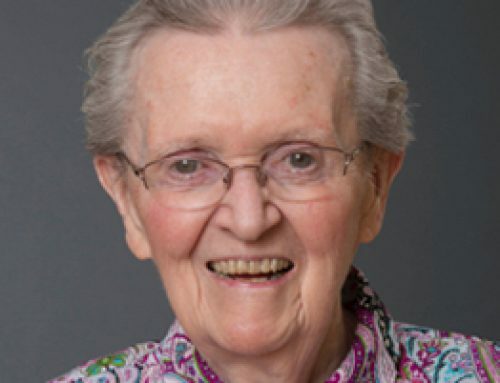 She entered the Sisters of Charity-Halifax on February 2, 1948 and made her perpetual vows on August 15, 1956. During her early years, from 1950-1963, her ministry consisted of dietary and housekeeping responsibilities. In 1950, she ministered at Saint Michael School in Andover, Mass. and then returned to Halifax in 1951 and continued her ministry at Mount Saint Vincent College until 1958. 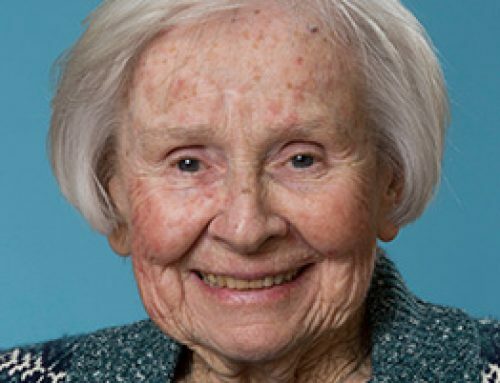 From 1958 – 1963, she was missioned at St. Brigid’s Home in Sillery, Quebec. In 1963, Sister Kathleen returned to NS where she was appointed Supervisor of Girls at the Residential School in Shubenacadie until 1967. 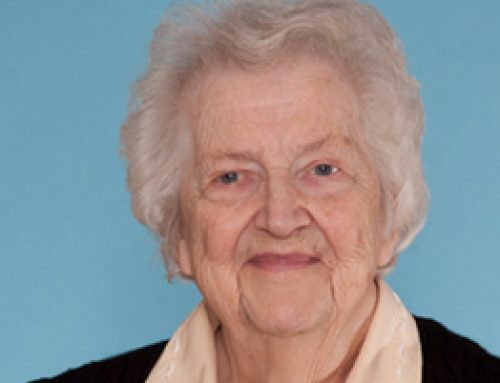 She then served for a year at St. Joseph Orphanage in Halifax. In 1968, Sister returned to St. Brigid’s Home in Sillery, Quebec where she supervised the Boy’s Department until 1973. From 1973-1998 she continued to reside in Sillery, where she worked as a hairdresser at Seton Residence. In 1998 she retired and once again returned to St. Brigid’s Home as a volunteer. In 2000, Sister came home to NS to reside at Our Lady Community in Mount Saint Vincent Motherhouse in Halifax. 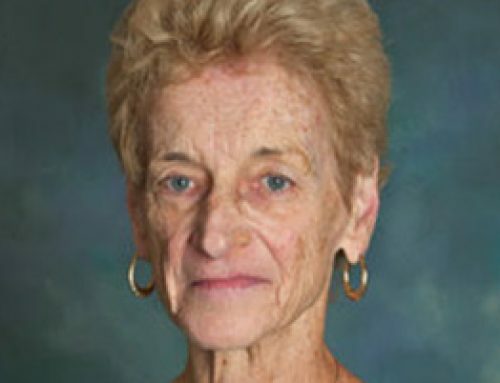 In 2001, she moved to Marian Hall and then in 2004 to Marymount Community. In 2008, she moved to Caritas Residence. Sister is survived by her brothers Henry (Halifax) and Roy (Halifax); and by her niece, Angela Slaunwhite (Halifax). She was predeceased by her sister, Betty Giles. The body will be in Caritas Residence on Tuesday, May 16, with visitation from 3pm until the Prayer Service at 7pm. A Mass of Christian Burial will be celebrated on Wednesday, May 17, at 10am in the Immaculate Conception Chapel in Caritas Residence. Burial will follow at Gate of Heaven Cemetery, Lower Sackville, NS. In lieu of flowers, donations may be made to the Sisters of Charity Ministry Fund.